One of the most common questions Typewolf visitors ask me is “What’s the closest free alternative to Brandon Grotesque?” And “What’s the closest free alternative to Proxima Nova?” And so on. I know every designer would love to spend hundreds or even thousands of dollars on fonts for their next project. But I also know that not every project has that kind of budget. And I know how frustrating it is wasting time trying to find quality free fonts. So I put together a PDF guide to help designers in this situation. Any designer who regularly uses free fonts will save hours of time and will discover some truly great typefaces. It’s possible to have beautiful typography even without a big budget. And by the way, his (@typewolf) PDF is awesome. Totally worth the $39 so far. Great resource by @typewolf for when you are limited to free fonts — http://t.co/v4eYPhdIfG. Go get it, I can recommend it! 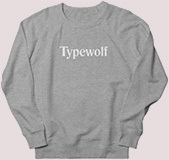 Have you seen Typewolf? I bought the guide and it has been awesome saving me time trying to find Google Font and free alternatives to paid fonts. Might be a nice compliment to this. Are the fonts free for commercial use? All of the closest free alternative fonts listed include an option available on Google Fonts (which are all open-source and available for both personal and commercial use). The fonts in the “40 Best Free Fonts That Aren’t on Google Fonts” section are all free for both personal and commercial use as well. That said, always carefully read the license before using any free font as the terms are subject to change. How do the product updates work? Use the download link in your original receipt email from Gumroad—this link will automatically give you the latest version of the file. If you signed up for a Gumroad account when you purchased, you can access the latest version in your library. Visit the sales page where you purchased the product and click on the buy button—it should remember that you already purchased and give you a download link. If you have any trouble with the above, just email me and I’ll resend your receipt with the download link. Are there any recurring charges for the updates? No. It’s just a one-time purchase. There are no recurring charges. It’s essentially a lifetime subscription for a one-time purchase. 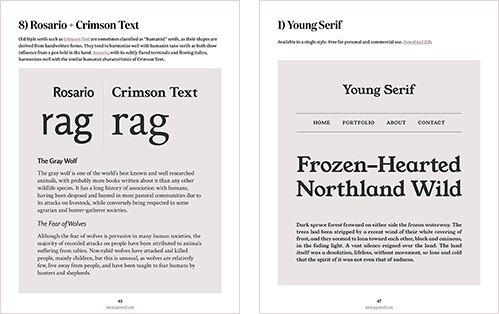 Which fonts does the guide feature the closest free alternative to?